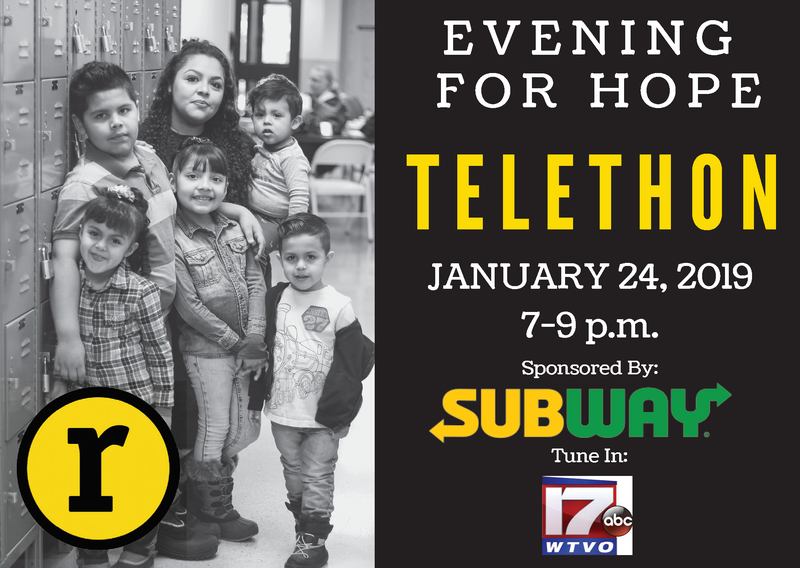 Rockford Rescue Mission’s 21st Annual Evening of Hope Telethon is January 24, 2019 from 7-9 p.m.
Mark your calendars and tune into WTVO Channel 17 to see how your gifts restore hope and change lives in the Rock River Valley. Your gift will make it possible for hurting men, women and children to find help and hope. Partner with Rockford Rescue Mission to provide meals, shelter, case management, Life Recovery programs, GED & vocational training, life skills classes, and medical, dental & chiropractic care.